Many people find the whole area of performance management, whether they are reviewers or reviewed, difficult to handle and very time consuming. Reviewers often want to swerve difficult issues because they fear demotivating their team member, being unpopular with their colleagues and not handling the situation properly. On the other hand the person being reviewed may find it difficult to take criticism and become defensive, at best, and disengaged with the organisation and process at worst. To be an effective tool for improving staff and organisational performance, feedback, both positive and negative, needs to be delivered in the right way.  Try to start and finish on a positive note. It is always helpful for the person being reviewed to know what they did well. Feedback is often seen as criticism and it is easy to overlook the positive aspects of the person’s performance. Identifying early in the discussions the positive will reinforce constructive behaviour.  Spend at least as much time on the good things as the negative points.  Encourage self-criticism. People are more willing to accept feedback when they recognise their own strengths and weaknesses. Encourage them to appraise their own performance and build on their insights.  Focus on the job and not the person. It should be the performance and not the performer which is subject of scrutiny. In other words, “this doesn’t appear to have worked well so let’s try to see why…” rather than, “you don’t appear to be good at this”. Focusing on the job ensures feedback is concrete.  Focus on and clearly deal with particular instances and behaviour rather than making vague and woolly statements.  Give direct feedback towards actions and behaviour the individual can do something about. It cruel to remind them of something over which they have no control.  Concentrate on two or three key areas for improvement where the individual or team can see a quick return. Where there is a major problem, it is recommended that activities are broken down into smaller, step by step improvement goals.  Timing. The more quickly performance is followed by feedback the more effective that feedback will be in influencing future performance. In other words do not wait until the formal review process which may be many months away.  Don’t give feedback and run. Stay to explore the topic in detail. Ensure they have taken it on board? Question do they want to discuss future action plans in detail?  Listen carefully and don’t jump in to explain or justify your actions when listening to criticism.  Remember it is only their opinion. It is up to you can consider and evaluate their findings and to take action if appropriate.  For balance and perspective, check it out with others. Don’t rely on one source as they may have their own biases and perceptions.  Ask for more feedback. For example questions may include: “Can you tell me more….” “Have you other examples…….”.  Be clear about what is being said and don’t jump to conclusions. Ask more questions and paraphrase what you believe has been said to you.  Express appreciation. Honest feedback is helpful to your future development so say a genuine thank you for their comments. Again it is up to you to decide what to do next. It is always your choice to accept or reject the feedback you have been given. 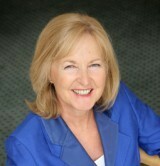 Kathy Whymark is a learning and development expert. She is owner, executive coach and business consultant at Meet Your Goals; a support and development practice she formed in 2009. Its objective is to help individuals, teams and organisations improve performance. She is a consultant with the Chartered Management Institute, Learning Skills Network (LSN) and the Learning Skills Improvement Service (LSIS). Recently she was appointed the UK Country Facilitator for Sedaa Global Brains Trust (GBT).